In the state of Florida, you will have your driver's license suspended if you are involved in a DUI. This is true even for a first offense. A driver's license suspension can make it difficult to get to work, fulfill your family obligations, or even do simple things like going to the grocery store. Unfortunately, a driver's license suspension is mandatory after a DUI conviction. The best way to avoid driver's license penalties is to avoid a conviction for driving under the influence. The experienced Fort Lauderdale DUI attorneys at The Ansara Law Firm can help you to explore possible defenses you may raise in order to attempt to avoid a conviction. You will have your license suspended for a minimum of 180 days and a maximum of a year after your first DUI conviction. If you have a second DUI conviction within five years of your first, you will have your license revoked for five years. However, you may be eligible for hardship reinstatement after a year has passed. 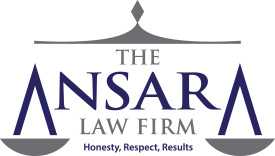 The Ansara Law Firm can help you to prove the need for a hardship restatement so you will have a better chance of being successful at getting your license back on a limited basis. After a third conviction within ten years of your second DUI, you will have your license revoked for ten years. However, you may again be eligible for a hardship reinstatement- but this time you will have to wait for two years before you can apply. If you have a Fourth DUI conviction or if you are guilty of murder with motor vehicle, your license will be permanently revoked. If you have a DUI manslaughter conviction, your license will be permanently revoked. However, you may be eligible for a hardship reinstatement after a five-year period has passed. If you are convicted of vehicular homicide, you may have your license revoked for a minimum period of three years. These penalties indicate that anyone with a DUI is going to lose his or her license. In fact, the very act of being arrested for a DUI or refusing to take a BAC test will lead automatically to an administrative suspension of your driver's license. When you are arrested or refuse a BAC test, your license is suspended immediately and your DUI citation serves as your temporary license to drive. You then have ten days to schedule a hearing with the DMV to argue for why you should be permitted to drive instead of subject to an ongoing automatic administrative suspension. Losing your license can be a very devastating experience, and it can be very expensive to take the steps to get your license reinstated after a revocation or suspension. You need to talk to an experienced Boward County DUI attorney to learn what your legal rights are in regards to your DUI charges and license suspension and to learn what options, if any, you may have for holding on to your license to drive. If you have been charged with DUI in South Florida, call The Ansara Law Firm today for your free initial consultation at (954) 761-4011! You can also contact us online. It only takes a minute to call, but it can make all the difference in the world.